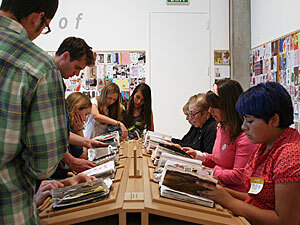 As a participatory exhibition, The 1000 Journals Project creates many opportunities for community engagement. Visiting classrooms, after-school programs, and adult learning programs benefit from journaling activities and events, and use entries as discussion topics. Museums have also used the project as an outreach effort, often launching their own journals into the world.